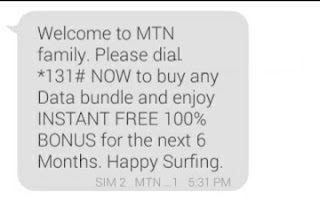 The mtn family double data bonus actually gives you double the data you purchase for the same amount, which means if you buy the 1.5gb data which goes for N1,000 you will get extra 1.5gb which makes a total of 3gb, if you buy the 3.5gb which goes for N2,000 you will get extra 3.5 gb making a total of 7gb and if you buy 10gb data for N5,000 you will get extra 10gb making a total of 20gb. And this data plan offer will continue like that for the next 6months. But the problem there is that this offer is exclusive to few devices only. But not to worry, I will not only explain how to subscribe for this offer but also how to be eligible even if you don't own any of the eligible devices. But you might need an MTK device for this. 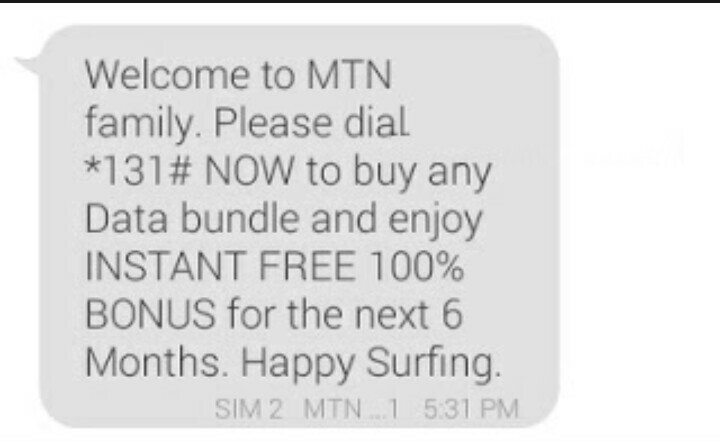 How To Opt In For The MTN Double Data Offer. ==> First download imei analyser from this link. ==> Add any three digits of your choice and click on analyze to get a valid imei. ==> Change your current phones imei to the newly generated phantom 5 imei. If you don't know how to change your imei then click on this LINK. ==> Toggle your airplane mode (turn your airplane mode on and off). ==> Just wait for a few minutes and you should receive a confirmation message similar to the one in the image below. ==> After that, just dial *123*2*6# or SMS BT to 131 to migrate to mtn beta talk. Now you should start enjoying double the data value of any data plan you purchase for the next 6 months. If you have any question feel free to subscribe and don't forget to share this post. I JUST GOT WHAT I NEEDED. Such a proposal will be effective for the users. The obtaining of the double data will make it possible to improve the performance of the entire system.